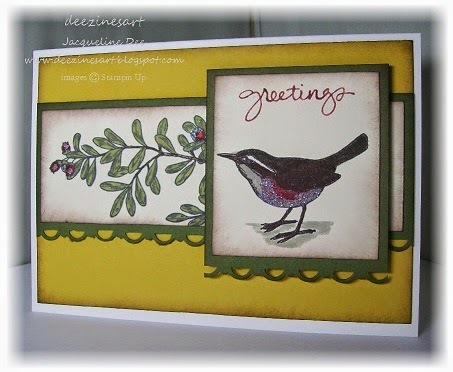 Phoenix Inspirations: Another Christmas Card! 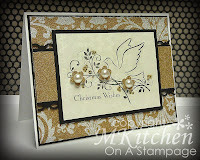 The elements I chose to CASE were the bird and foliage, the layout is pretty similar too. I added a sprinkling of glitter to the robin and berries to give that extra festive feel. Pretty card Jacquline! Great CASE of Mynn's card! Love the added glitter on your bird! Thanks so much for joining us at CASE-ing Christmas for our very 1st challenge! Hope to see you back soon! Love your card Jacqueline with the pretty Robin. Love your take on Mynns card. Cute bird. Thanks for joining us at CASE-ing Christmas. This is soooo pretty, Jacqueline. Absolutely gorgeous as always, my friend. Hope the new year is treating you well. Thank you for joining our first CASE-ing Christmas challenge. We are thrilled to have you play along. Love this Jacqueline, thanks so much for playing along at CASE-ing Christmas. Hugs. Thank you for joining us at CASE-ing Christmas. I love the robin with his sparkle, it's a great card.